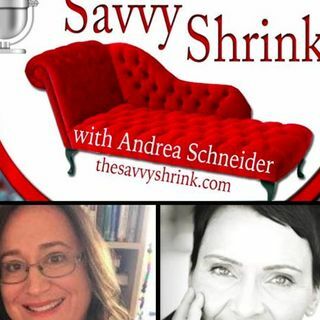 Join the Savvy Shrink, Andrea Schneider, MSW, LCSW as she interviews pioneering maternal mental health researcher and writer, Walker Ladd, PhD on the subject of destigmatizing maternal mental health. We talk about the importance of discerning evidence-based literature and research relevant to maternal mental health. And we address the importance of mothers obtaining qualified mental health services during the childbearing year and beyond. Perinatal Mood and Anxiety Disorders (PMADs) are the ... Más informaciones most common complication of childbirth. We talk about access to care, advocacy, and where to get help. It's not a woman's fault if she has a PMAD, with help she will be better. Sometimes moms have symptoms of depression and anxiety later on during the child-rearing stages (for example during perimenopause). It's just as important at that life stage to receive qualified and trained clinical support. Dr. Ladd provides us with information about her qualitative research, and shares with us some information about her upcoming work addressing older moms in later life stages past their initial PPD (postpartum depression) or PMAD (perinatal mood and anxiety disorder) and what to do if symptoms come up then. She also shares with us her work addressing bipolar disorder and how impactful this particular chronic condition requires exquisite trauma-informed, client-centered care. Dr. Walker Ladd is the Associate University Research Chair for the Center for Health Engineering and Research, at the University of Phoenix.